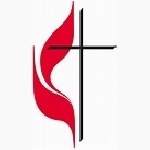 Community United Methodist Church, 220 Junction Road in Ruidoso, NM announces activities for Easter Week, April 14 – 21, 2019. I'm Ingrid, not a Bum. Our mission is to help women veterans diagnosed with PTSD and women partnered with veterans with PTSD learn and practice skills that they can use to help themselves to reduce post-traumatic stress.